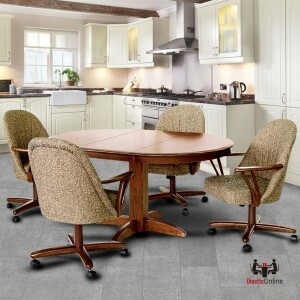 Families throughout North America have been building memories around their Chromcraft dinette sets for decades. 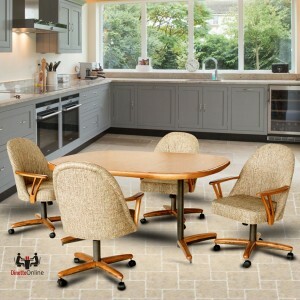 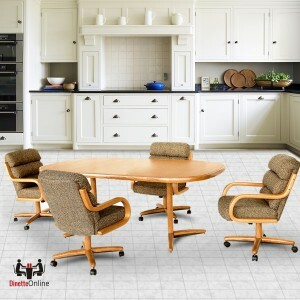 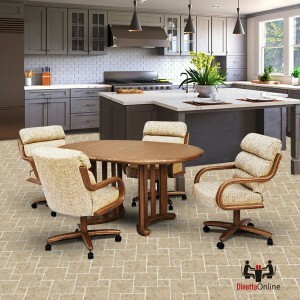 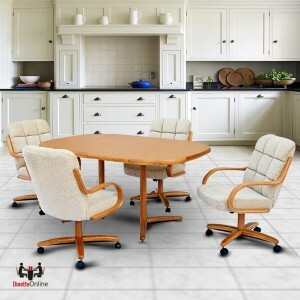 Comfortable swivel tilt caster chairs with seat and back cushions and wood or metal frames are grouped with durable matching dining tables in various shapes and sizes with laminate and solid wood tops. 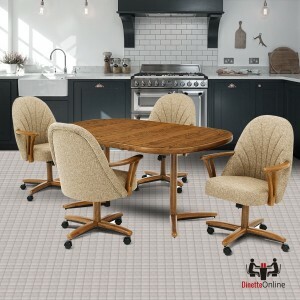 Chromcraft dinette sets are available in 5 piece, 7 piece, 9 piece and 11 piece sets. 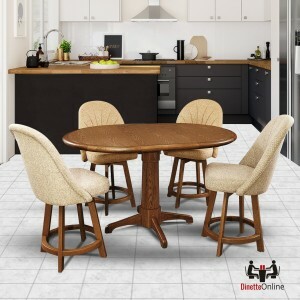 Selecting a fabric, vinyl, wood color and metal finish is a big advantage to creating the perfect casual dinette set for your kitchen.